Before you saddle up to the bar at Busch Gardens’ Bier Fest, why not make this the year you try something new? And not just a new brewery’s version of your old shoe favorite. We’re talking a whole different style of beer. After all, there’s something to be said about booting yourself out of your comfort zone. Going bold. Spicing things up a bit. Here are four styles of beer that are all about doing just that. Not your go-to happy hour cold one. Nothing “lite” with a lime choked down its neck. We’re talking about styles ordered by card-carrying beer enthusiasts who know their brews, and have fun exploring them. Fun is always in season at Busch Gardens Williamsburg. The Busch Gardens Food & Wine Festival (http://bit.ly/2uPMp7d) celebrates the flavors of the world each spring. 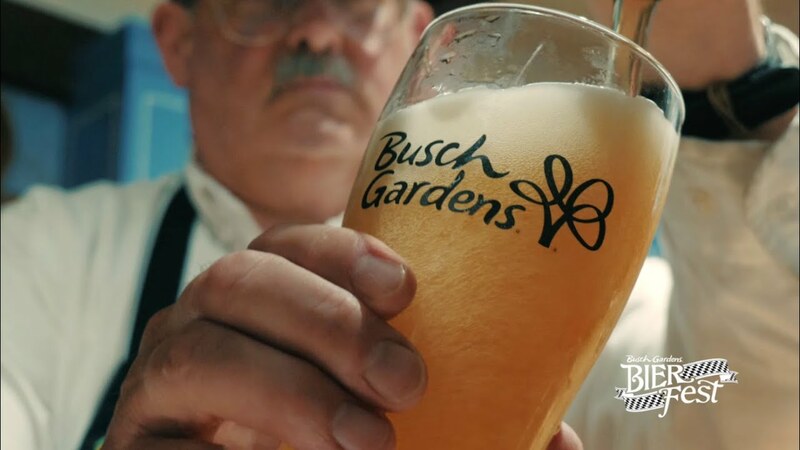 Toast to the end of summer during Busch Gardens Bier Fest (http://bit.ly/2uV5RQ0). Enjoy a spine-chilling fall at Howl-O-Scream (http://bit.ly/2uMirkt) when the park turns into a seriously scary place, then return during the holidays and bask in the warmth of eight million holiday lights at Christmas Town (http://bit.ly/2uV5TY8), one of the largest light displays in North America.